It's divided into three sections on anatomy, pathophysiology, and epidemiology; diagnostic and therapeutic approaches including the latest therapeutic modalities; and specific conditions. Includes more than 250 illustrations for rapid reference. Each chapter now has a Q&A section and begins with a list of objectives outlining the chapter’s goals. In addition, a number of new imaging modalities are presented in this new edition. It takes an integrated medical, surgical and radiological approach, making this invaluable to all members of the team who deal with complications of liver transplantation and the management of patients. Section 1. Anatomy, Pathophysiology, and Epidemiology of the Biliary System. 1. Anatomy and Physiology of the Biliary Tree and Gallbladder. (James Toouli and Mayank Bhandari). 2. Pathology of the Intrahepatic and extrahepatic Bile Ducts and Gallbladder. (Kay Washington). 3. 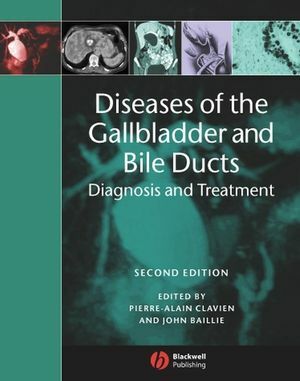 Epidemiology of Diseases of the Bile ducts and gallbladder. (Markus H. Heim). Section 2. Diagnostic and Therapeutic Approaches for the Biliary Tree and Gallbladder. Noninvasive Imaging of the Biliary System. (Elmar M. Merkle, Rendon C. Nelson and Henrik Petrowsky). 5. Endoscopic Diagnosis and Treatment of Disorders of the Biliary Tree and Gallbladder. (Kevin McGrath and John Baillie). 6. Percutaneous Biliary Imaging and Intervention. (Paul V. Suhocki). 7. Radiation Therapy for Disease of the Biliary Tree and Gallbladder. (Brian G. Czito and Mitchell S. Anscher). 8. Surgery of the Biliary System. (Lucas McCormack, Markus Selzner and Pierre-Alain Clavien). 9. Laparoscopic Treatment for Diseases of the Gallbladder and Biliary tree. (Stefan Wildi, Sarah K. Thompson, John G. Hunter and Markus Weber). 10. Laparoscopic Biliary Injuries. (Steven M. Strasberg). 11. Medical and Innovative Therapies for Biliary Malignancies. (Michael A. Morse and Bernhard Pestalozzi). 12. Natural History and Pathogenesis of Gallstones. (Beat Müllhaupt). 13. Acute and Chronic Cholecystitis. (Stefan Breitenstein, Armin Kraus and Pierre-Alain Clavien). 14. Biliary fi Stula, Gallstone Ileus, and Mirizzi’s syndrome. (Henrik Petrowsky and Pierre-Alain Clavien). 15. Benign and Malignant Gallbladder Tumors. (John T. Mullen, Christopher H. Crane and Jean-Nicolas Vauthey). Section 3.2. The Intrahepatic and Extrahepatic Bile Ducts. 16. Acute Cholangitis. (Suyi Chang and Joseph Leung). 17. Cystic Diseases of the Biliary System. (Robert J. Porte and Pierre-Alain Clavien). 18. Biliary Complications of Liver Transplantation. (Mary T. Austin and C. Wright Pinson). 19. Primary Sclerosing Cholangitis. (Robert Enns). 20. Cholangiocarcinoma. (Markus Selzner and Pierre-Alain Clavien). 21. Primary Biliary cirrhosis. (Piotr Milkiewicz and Jenny Heathcote). 22. Intrahepatic Cholestasis. (Andrew Stolz and Neil Kaplowitz). 23. Biliary Disease in Infants and Children. (Riccardo Superina). "This book [...] continues its tradition of excellence and modern information."